One letter of recommendation (excluding family members), may be submitted at a later date. You must provide a copy of your resident alien card with an alien registration number from immigration form I-551. What year did you receive your diploma or GED? If no, do you intend to apply? 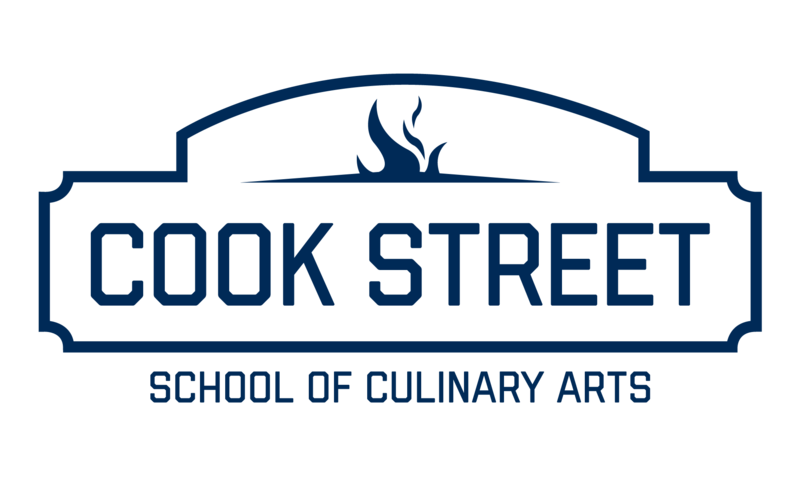 How did you hear about Cook Street School of Culinary Arts? Please submit a 200-word essay describing your background, including the influences that have led you to study the art of cooking. Discuss your strengths and weaknesses as a student and as a cook, and explain why you would like to study with us at Cook Street. It is the applicant’s responsibility to respond truthfully and accurately to all questions on the application for admission. Any applicant who furnishes either false or misleading information on the application can be disqualified as an applicant for admission. If Cook Street accepts the applicant and subsequently discovers that false or misleading information was furnished on the application, Cook Street may terminate the student’s privilege to continue his or her education without reimbursement. I understand that it is my responsibility to forward the necessary materials to complete my file for review and will inform the Admissions Department in writing of any changes of information regarding my file, especially concerning employment. I have read the terms and conditions of acceptance in the enrollment package and catalog and agree to abide by them if admitted.